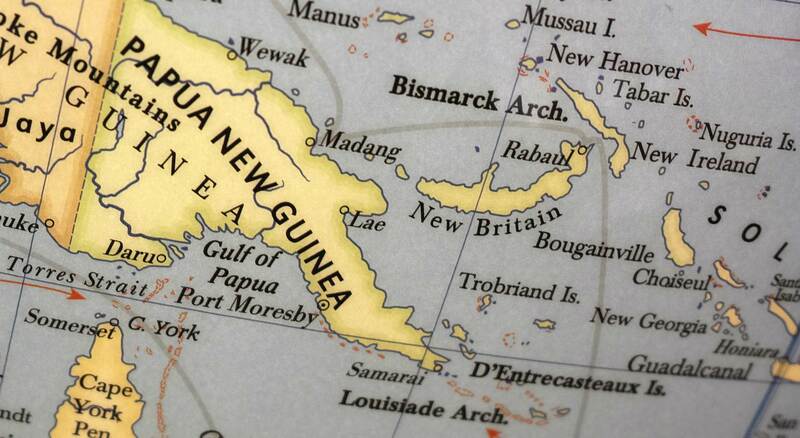 Bougainville’s independence referendum is on the horizon. The prospect of autonomy in other provinces is also growing. It’s been quite a week for Papua New Guinea’s national government and the evolving relationships it will have with the country’s provinces in the future. Last Friday, PNG’s Prime Minister Peter O’Neill and Autonomous Region of Bougainville President John Momis finally agreed on the question that will be put to the people of Bougainville at next year’s referendum – “Do you agree for Bougainville to have (i) Greater Autonomy or (ii) Independence?” Their answer will influence whether this island province remains part of PNG, although the final decision remains with the PNG parliament. Simply shifting resources and responsibility from one level of government to another does not mean that the people of PNG, or at least those in more autonomous provinces, will have improved lives and services. This seemingly simple question veils a bloody history. It’s now 17 years since the nine-year secessionist conflict in Bougainville formally came to an end with the signing of the Bougainville Peace Agreement in August 2001. As part of that agreement, Bougainville was given autonomy with powers and resources, which were previously held by PNG’s national government, transferred to the Autonomous Bougainville Government. Another element of the peace agreement set out the conditions and timeframe for a referendum to allow Bougainvilleans to decide if they wanted to evolve to full independence. That referendum is scheduled for June 2019. How the outcome of the referendum might affect PNG’s eventual configuration as a nation has been the subject of concern and debate for a number of years. Would other provinces also attempt to follow a pathway of greater decentralisation or even break away from PNG? That debate was t-boned in July this year when O’Neill signed the “Inter Government Agreement” which starts the process of granting greater autonomy to the provinces of New Ireland, East New Britain, and Enga, a full year before the outcome of the Bougainville referendum is known. For New Ireland and East New Britain, this outcome has been long sought. Even in the lead up to PNG’s own independence in 1975, East New Britain’s aspirations for autonomy were being expressed through the Mataungan Association established in 1969. This ambition was realised earlier this month when O’Neill formally launched autonomy for the province. In the case of New Ireland, former prime minister, Sir Julius Chan, now New Ireland’s provincial governor, has been advocating for autonomy since 2008. In a 2016 interview with Radio New Zealand, he made it clear that he wanted the province to take over most of the functions for which the national government is currently responsible, because in his view, the province could do it better. Speaking after this year’s signing of the Inter Government Agreement, Chan described it as one of the most gratifying moments of his political career. Meanwhile, Enga’s progression towards autonomy under the stewardship of long time provincial governor Peter Ipatas bookends the week. O’Neill is due to sign the province’s autonomy agreement on Friday. What does autonomy really mean? The process for all three provinces has just begun and details on what will be transferred to the provinces in the way of resources and responsibilities remains unclear, at least publicly. However, in signing the Inter Government Agreement, O’Neill made it clear that the type of autonomy being accorded to the provinces had to sit within the framework of the national constitution that allows for substantial devolution or delegation of decision-making powers to a province. But this did not provide for independence or political autonomy. Earlier in the year, he had stipulated that whatever autonomous arrangement was done for East New Britain and New Ireland could be replicated throughout the country. However, it should be noted that real action for the decentralisation of responsibility for government services to these three resource-rich provinces – New Ireland with its mining resources; East New Britain’s extensive palm oil industry; and Enga, home to one of the world’s largest gold mines, Porgera – began in earnest around the time of last year’s elections. The fact that all three provincial governors – Sir Julius Chan, Peter Ipatas, and East New Britain’s provincial governor Nikikus Konga – either moved to or positioned themselves close to Peter O’Neill’s People’s National Congress at the time of those same elections may just be a coincidence. Whatever the motivations, the outcome reinforces a view expressed by Bal Karma in his Lowy Institute commentary last year, that the results of the 2017 election indicate a rising regional factionalisation among the political elite that could further complicate a messy process of decentralisation. Now that provincial autonomy or decentralisation is being given its own political legitimacy, quite separate to the complexities of Bougainville’s longtime secession efforts, the temptations and opportunities for other provinces to follow suit will mount. But simply shifting resources and responsibility from one level of government to another does not mean that the people of PNG, or at least those in more autonomous provinces, will have improved lives and services. If change is made simply for political advantage for the political elite, it is not going to result in better skilled or better resourced institutions providing quality, or at best, reliable basic services such as health, education, transport, and clean water that the people of PNG should have, but largely don’t. Indeed, it threatens further deterioration of the already failing services as unclear legislation, confusion, and resource diversion take their toll. Germany’s Minister of the Interior is the latest right-wing leader in Europe to surf the populist political wave. What the long investigation has really exposed is more of the same old politics at play.